More than 100 people, including a New York attorney, have been indicted in what is being termed the largest identity theft case ever prosecuted in the United States. The ring allegedly involved corrupt insiders at banks, stores and restaurants stealing customer data. The suspects, members of five criminal gangs that operated primarily out of Queens County, New York, have ties to gangs in Asia, Europe, Africa and the Middle East, and were allegedly responsible for fraud losses that amounted to more than $13 million in the 16-month period between May 2010 and September 2011. Eighty-six of the defendants have been arrested, while the remainder are still being sought, according to the Queens County District Attorney’s office. New York attorney Susan Persaud, who was arrested Oct. 4, is accused of aiding some of the defendants by providing them with information about how to conduct their crimes and evade authorities. Persaud, 34, allegedly received payment for her services in the form of expensive designer shoes. Persaud did not respond to a call for comment. 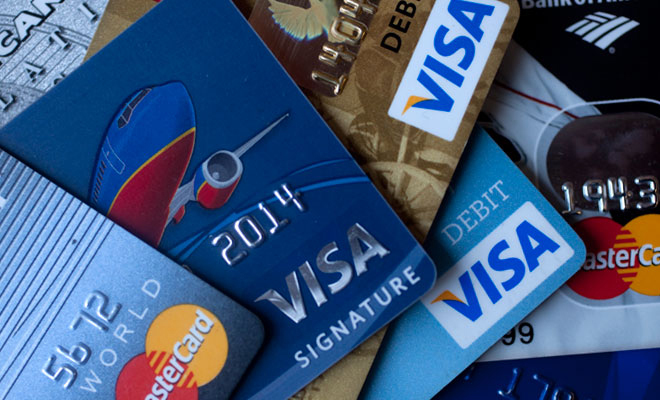 “This is by far the largest and certainly amongst the most sophisticated identity-theft credit card fraud cases that any of us have ever seen,” said Queens district attorney, Richard A. Brown, in a statement. According to an Operation Swiper press release (.pdf), restaurant and store employees used hand-held skimming devices to swipe the bank card details of customers in some cases, while bank employees stole data in other cases. That data was then passed to criminal colleagues who embossed the data onto blank cards and passed them to mules who went on high-end shopping sprees in New York, Florida, Massachusetts, California and elsewhere. The mules racked up charges, buying iPads, iPhones, and other Apple electronics, as well as designer handbags from Gucci and Louis Vuitton, and designer shoes and jewelry, much of which was fenced online for cash. Not all of the defendants engaged in card crimes, however. At least four defendants were plotting an old-fashioned bank robbery — targeting a branch of the Flushing Savings Bank in Queens — but were thwarted after investigators learned of the plan through intercepted telephone calls and placed a marked police car in front of the bank to deter them. Five defendants also were charged with stealing more than $95,000 worth of cargo containing drill bits and power tools from Quantas Airways at Kennedy Airport, and seven have been charged with stealing about $850,000 worth of computer equipment from the Citigroup Building in Long Island City. One of the defendants, Angel Quinones, worked at the building as a security guard for Allied Barton Security Services, while another defendant was a former employee of Citicorp. A number of the suspects were living large while conducting their crimes, staying at five-star hotels like the Fontainbleau and Royal Palm in Miami Beach and at Las Casitas Village at El Conquistor in Puerto Rico, charging their rooms to victims’ credit card accounts. They also used fraudulent cards to rent luxury cars such as Lamborghinis and Porsches and, in one case, to lease a private jet to fly from New York to Florida. The police and prosecutors told the New York Times that they received no tips from credit card companies or retail businesses when the fraudulent activity began, even though balances on stolen accounts were skyrocketing and should have set off alerts. The investigation, dubbed “Operation Swiper,” began in October 2009 when police officers in Queens County launched a joint investigation with the district attorney’s office into an identity theft ring that was operating locally. The investigation quickly ballooned to involve physical surveillance, as well as wiretaps on dozens of phones. Authorities say they intercepted thousands of calls that had to be translated into English from Russian, Mandarin and Arabic. Imran Khan, Ali Khweiss, Anthony Martin, Sanjay “Rocky” Deowsarran and Amar Singh were the alleged “bosses” of the criminal enterprises based in the U.S., who received lists of bank card data from skimmers in the U.S. and from associates in Russia, Libya, Lebanon and China. They allegedly contracted with others to embed the stolen data onto fraudulent cards. In some cases, the fraudulent cards included artwork and logos from financial institutions to make them look like legitimate cards. In other cases, the fraudsters also made forged government identification — such as a New York State driver’s license — to match the name on the forged credit card to make it easier to use. Authorities raided 15 locations throughout New York City and Long Island — including several “mills” where fraudulent documents were manufactured — and seized about $650,000 in cash, seven handguns, and a truck full of electronics, shoes and watches, skimmers, card readers and card embossers.